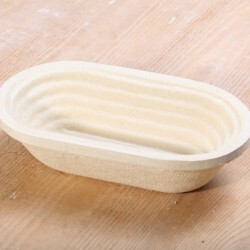 Our collection of bannetons made from wood-fibre. Made within the European Union. 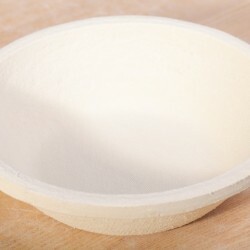 These baskets are easy to use and clean, but are a little more vulnerabile in very moist conditions. Always make sure they are perfectly dry before storing and stacking them. 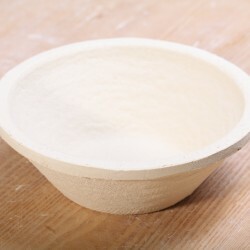 Wood-fibre bannetons There are 11 products. 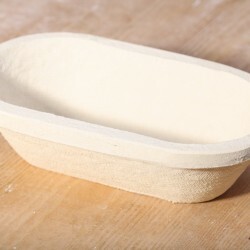 Oval wood-fibre proofing basket with smooth surface. Very easy to use and clean. 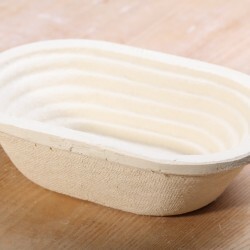 Oval wood-fibre proofing basket with spiral pattern. Easy to use and clean. 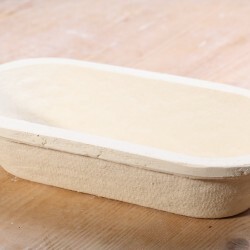 Dough capacity of 500 g.
Oval wood-fibre proofing basket. Very easy to use and clean. 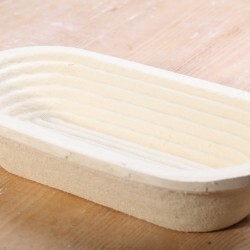 Oval wood-fibre proofing basket with spiral pattern. Very easy to use and clean. 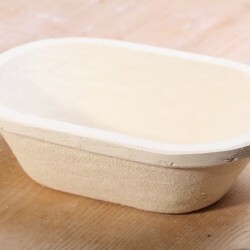 Round wood-fibre proofing basket. Very easy to use and clean. 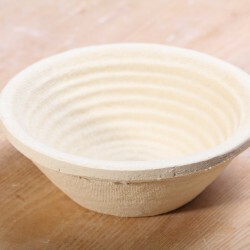 Round wood-fibre proofing basket with spiral pattern. Very easy to use and clean. Internal dimension Ø22cm. 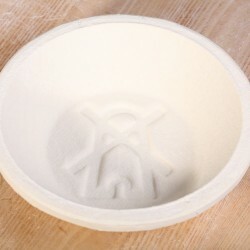 Round wood-fibre proofing basket with windmill pattern. 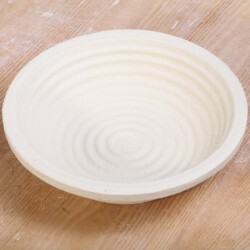 Very easy to use and clean.